The most frequently asked question in Dr. Burrup’s clinic? “What about vitamins?” Well, Dr. Burrup has some answers in the video below…enjoy! 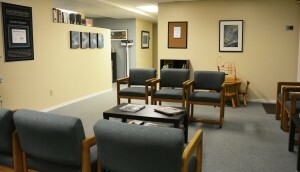 The Institute of Chiropractic & Acupuncture Therapy provides chiropractic, acupuncture, and other wellness care in Salt Lake City and surrounding areas including West Jordan, South Jordan, Sandy, Draper, Taylorsville, Murray, Riverton, Herriman, Bluffdale, Cottonwood Heights, Holiday, Millcreek, West Valley City, and South Salt Lake. 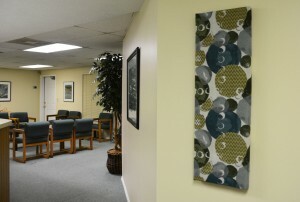 We also provide service to patients that come from the Utah County area and as far north as Logan, and even some from out of state…come experience the difference at The Institute! Category: Natural and Holistic Health Care | Comments Off on Questions About Vitamins? Drink more Water! Most people do not drink enough water each day and dehydration can lead to bad headaches. Keep a water bottle with you during the day and drink at least 8 cups (64 oz.) each day. Acupuncture/acupressure. Studies have shown acupuncture to be an effective treatment for headaches. We have had much success at our clinic treating patients who have headaches with acupuncture or acupressure, especially when combined with chiropractic care. Chiropractic adjustments. Many people find relief from their headaches with chiropractic care. The Institute of Chiropractic and Acupuncture Therapy has helped many people get drug-free results, drastically reducing and/or totally eliminating patient’s headaches! Some estimates suggest that 25% of the population has a headache right now…are you one of them? Headaches are most often a sign that something is not right in your body. There are many types of headaches and various things can cause them. Medications may cover up the pain, but don’t correct the underlying cause. If you can treat the cause of the headache, it will go away! 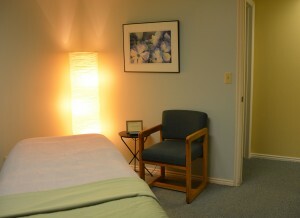 For more information on how chiropractic, acupuncture, and other wellness therapies can help your headaches, please see our What We Do page at SuperDocDC.com. Sciatica is persistent pain along the sciatic nerve, which runs from the lower back, through the buttock, and into the lower leg. The Sciatic Nerve is the longest and widest nerve in your body. Sciatic pain usually develops from general use, and wear and tear of your lower spine, not as a result of injury. Maintain proper posture: People who have good posture help their body to have proper nerve and blood flow, which may be impaired by prolonged poor posture. Poor posture can cause aching, pain, and impaired nerve function over time. Exercise regularly: The risk for sciatica is much lower when the muscles and tissues of your body are strong and healthy. Maintain a healthy diet and weight: I know, the last thing you want to hear…but it is so true! The better you eat, the better the body works, and a healthy weight puts less pressure on nerves and blood flow, directly affecting the sciatic nerve. Use good body mechanics when lifting: Injury is less common as a reason for developing sciatica. However, when injury is involved, poor lifting techniques are a common reason for injury that leads to sciatica. Get regular chiropractic care: Chiropractic adjustments offer a drug-free, non-invasive treatment option as well as preventive care for sciatica. The goal of chiropractic treatment is to restore/maintain spinal movement, which improves function while decreasing pain and inflammation. Depending on the cause of the sciatica, your chiropractor may use ice/heat therapy, ultrasound, and rehab exercises in addition to chiropractic adjustments in your treatment. While it is not always possible to prevent sciatica, these suggestions improve spinal health and the overall health of the body, and can greatly lower your risk for developing sciatica. The Institute of Chiropractic and Acupuncture Therapy provides chiropractic and wellness care for sciatica and many other conditions. 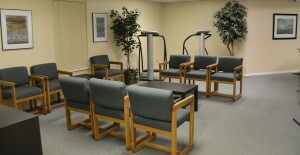 We provide chiropractic and other wellness services to patients in West Jordan and the Salt Lake City Metro area. Come experience the difference at The Institute! 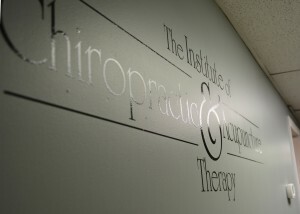 Office Tour Photos…Welcome to The Institute of Chiropractic and Acupuncture Therapy! 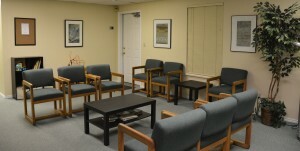 Please enjoy photos of our reception area, treatment rooms, massage room, and T-zone exercise machine in our reception area. Auto Accidents: 3 Things You Need to Know this Summer! Even a minor car accident can cause injury. Never assume that you are not injured just because there is little or no damage to your car. Seek professional care immediately, such as visiting your chiropractor, to treat and prevent minor problems that have the potential to grow over time. TIP: Studies show that ICE applied immediately to the injured area will help keep swelling and pain to a minimum. The most common auto accident injury is whiplash. Muscle aches, soreness, headaches and other symptoms associated with whiplash may not show up until 24-72 hours after the accident. The sooner you seek chiropractic treatment, the less likely it will be that you will have severe pain or permanent damage. Chiropractic, acupuncture, and other holistic therapies can have a tremendous effect on pain management and restoring mobility after an accident. 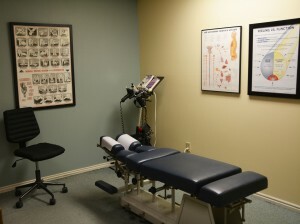 The sooner you see a chiropractor after a car accident the faster the healing process occurs. Pain is a protective mechanism of the human body that indicates an underlying trauma or injury to the tissue. Pain-killers only cover up the sensation of pain without correcting the underlying cause. Auto injuries limit mobility and physical independence because of pain. Putting off identifying the actual cause of pain may increase the risk of inflammation, disc degeneration, and other problems. Consequently, this delays healing and may lead to stiffness, limited range of motion, and other issues related to mobility. A chiropractor can address and treat these problems. Dr. Trent Burrup is a chiropractor who provides auto injury treatments with chiropractic and other wellness therapies in Salt Lake City and surrounding areas including West Jordan, South Jordan, Sandy, Draper, Taylorsville, Murray, Riverton, Herriman, Bluffdale, Cottonwood Heights, Holiday, Millcreek, West Valley City, and South Salt Lake. We also provide chiropractic services to patients that come from the Utah County area and as far north as Logan, and even some from out of state…come experience the difference at The Institute! 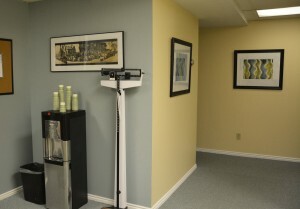 The Institute of Chiropractic and Acupuncture Therapy is located in West Jordan, UT. 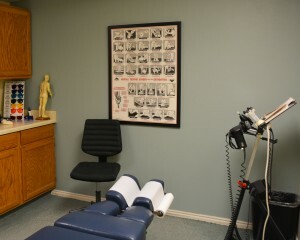 Call 801-567-0557 today for your chiropractic appointment. Category: Chiropractor, Health Conditions, Natural and Holistic Health Care | Comments Off on Auto Accidents: 3 Things You Need to Know this Summer!